The documents listed below are in .pdf and .pdf Fill-In format. 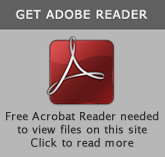 Viewing or printing a .pdf document requires the free Acrobat Reader. If you would like a hard copy of any the above referenced reports, please e-mail carolyn.williamson@vcsc.virginia.gov with your mailing address. Hold your cursor over the file name and RIGHT click. Select "Save target as" (in Internet Explorer) or "save link as" (in Netscape) and save it to the directory of your choice. Go to Adobe Reader or your file manager and open the document. © Copyright 2012 Commonwealth of Virginia. Virginia Criminal Sentencing Commission. All rights reserved.